Gil, a Hollywood screenwriter working on a novel, and his fiance Inez have decided to tag along on her parents’ business trip and spend a little vacation in Paris. Inez doesn’t exactly buy into Gil’s romantic perspective of the city, or his infatuation with Paris in the ’20s. One night, Gil takes a midnight walk alone and gets picked up by a ’20s car, which takes him to a party. 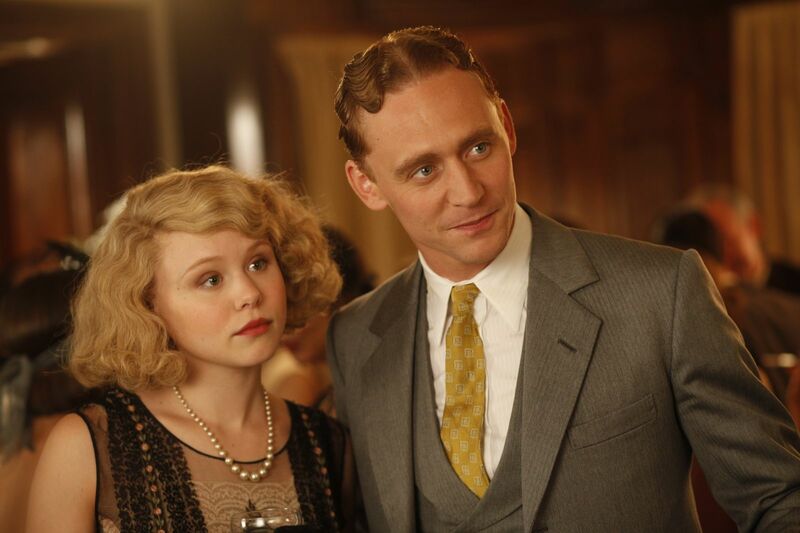 At the party, he meets Scott and Zelda, sees Cole Porter perform, and realizes that this is no ordinary get-together: he has traveled back in time to what he sees as Paris’ “golden age.” Gil continues his midnight walks, going back to the ’20s every night, and finds a new perspective of both his life and his work. 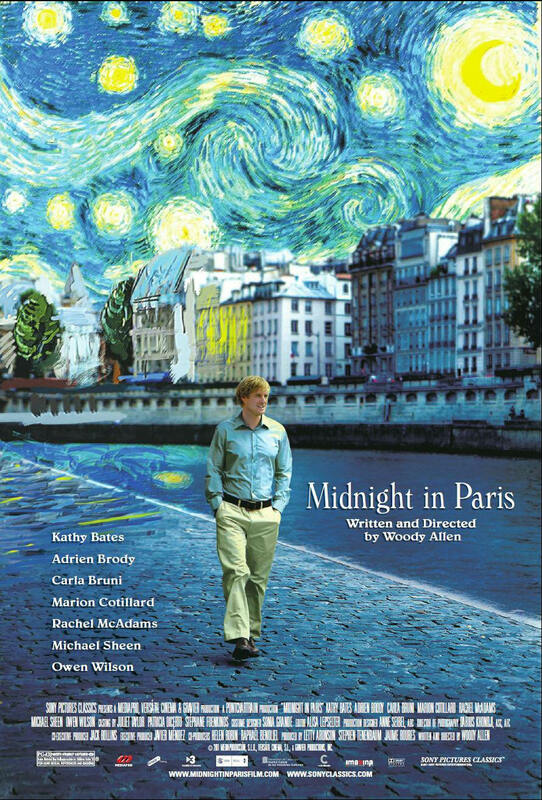 Midnight in Paris was the opening film at the 2011 Cannes Film Festival. This was the second of Allen’s films to be given the honor of opening the festival. Woody Allen first attempted to shoot the film in 2006. Carla Bruni was the First Lady of France during the time that she filmed her role as the museum guide. The film received four Oscar nominations and took home the award for Best Original Screenplay. However, as usual, Allen did not attend the ceremony. The character of Gil was rewritten by Allen to better suit Owen Wilson when he was cast in the film. The soundtrack and score are consistently beautiful. Even though the film argues for living in the present, I can’t help but be jealous of Gil’s ability to visit the 1920s every time I watch the film. The extremely talented cast filling the roles of literary giants and historical figures carry out their roles effortlessly. As a fan of many of the figures portrayed in the film, I was impressed. Adrien Brody and Corey Stoll are particular favorites. Hey, I’m glad to see that someone liked this movie besides me…the few people I recommended it to were not at all impressed. For me it was a whole mess of fun, with lots of great moments and portrayals; I especially loved Adrien Brody’s take on Salvador Dali. Keep ’em coming, Lindsey…and I like the new main page layout, too. I’m glad to hear that you like the new layout, too. I’m going to work on it a bit more over the weekend, but I’m happy with the changes I’ve made so far! I really wanted to love this film when I saw it but I was not bowled over by it like I thought I would be. It has the hallmarks of being a movie I would love but for some reason I was left kind of cold. That said, however, reading this makes me want to give it another go. I’m 100% sure that my high opinion of the film is bolstered by the literary characters/the pretty costumes/my jealousy of Gil’s time traveling abilities, but you should definitely give it another try, if for no other reason than to appease a fellow blogger. :P Thanks for sharing your opinion and enjoying the post, even though we disagree!